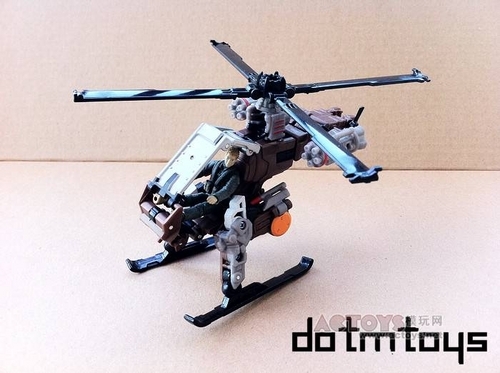 Home » Transformers Toys » TF Dark of the Moon » Transformers Dark of the Moon: Human Alliances! LATEST Update: Check out all my postings on the upcoming Transformers: Dark of the Moon toys here! There’s a particular Transformers:Dark of the Moon toy line which truly will burn my pocket when they come: the Human Alliances. I particularly fancy all of them as it is a really creative and cool way of how the Transformers can be. Moreover, with the bundled figures it does add some “value” of playing them. Just like MASK toys. This time around, for the DOTM Human Alliance, they come out with 4 NEW robots which will be in the Wave 1: Backfire, Ice Pick, Sandstorm and Thunderhead. Okay, i omitted the other 2 human alliances (black bumblebee and black skids) which are also in the 1st wave of the release due to the fact they are still the old robots to me despite the color changed. 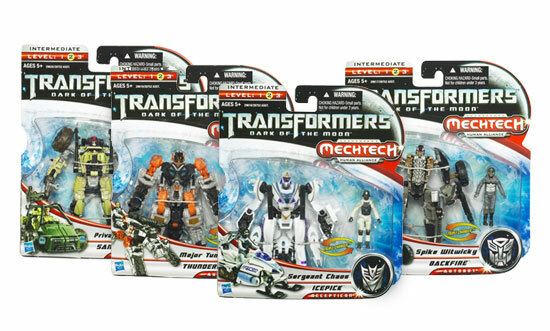 Let’s just focus on the 4 truly NEW human alliances which they are definitely in my wishlist for the upcoming DOTM toys. i) DOTM Human Alliance comes in smaller and deluxe like package, compared to the bulky and bigger box for the ROTF Human Alliances. Does that mean cheaper price as compared to the ROTF? well, i do hope so. They called them as the BASIC Human Alliance. A Three-wheeled All-terrain Vehicle like Autobot. A snowmobile like Decepticon. It does remind me a G.I. Joe toy with the alternate mode and the bundled figure. This is my favorite among the 4 Human Alliance. It is a Dune Buggy Autobots. Another Autobot Human Alliance with his alternate mode in a Walker Tank. What’s a Walker Tank? Well, check out images from Google. [Update] : I have done a review for this baby. Check it out here.